equipped inter-changable backs, one for 127 film and one for plate..
equipped inter-changable backs, one for 127 film and one for plate. 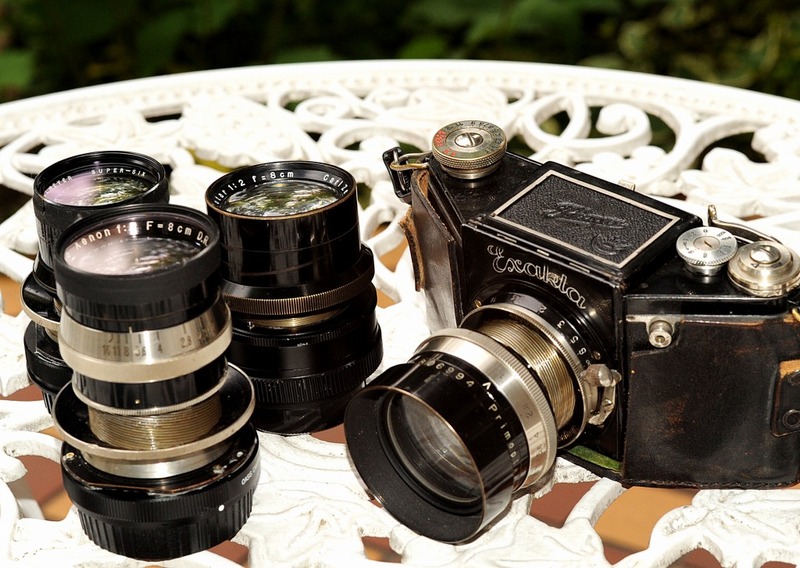 Nacht Exakta system is a very dignified set of Camera and 4 Lenses, I feel. Dim radiance from nickel body raise totally warm and precious image. 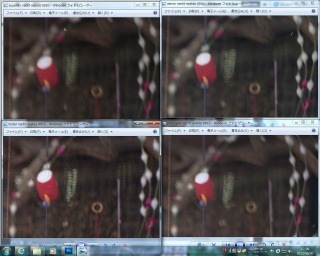 4 Lenses are easily changed by firm screw. 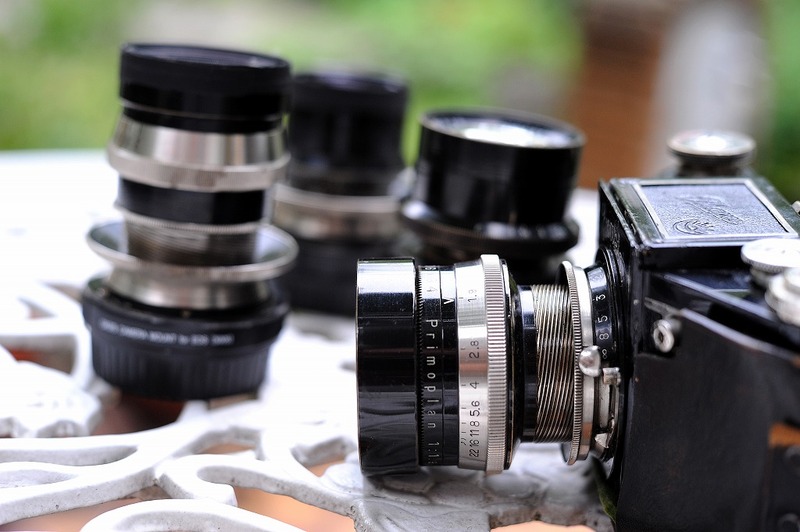 All of them are surprisingly fast lens at that era whose twinkle from large glass element impresses me a lot. The composition of the lens is Double Gauss type for three and modified Ernostar(triplet) type for one Primoplan. Please refer the expression of each lens. All of them shows very three dimensional feeling. These feelings are unique characteristic of medium format camera lens which can not be achieved by lenses for m4/3 or APS-C format even those full aperture is faster than f1.0. (4) shutter button can not be pushed unless turning helicoid more than intermediate click stop..
You can enjoy taking photo with the 4 lenses of Nacht Exakta more easily by EOS Digital Camera or others using self-made adapter as you can see above Camera & Lens Photo. 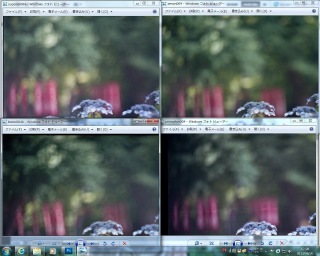 But I used 127 film(Bluefire Murano 160) for comparing expressions of 4 lenses with specially bokeh around peripheral part. 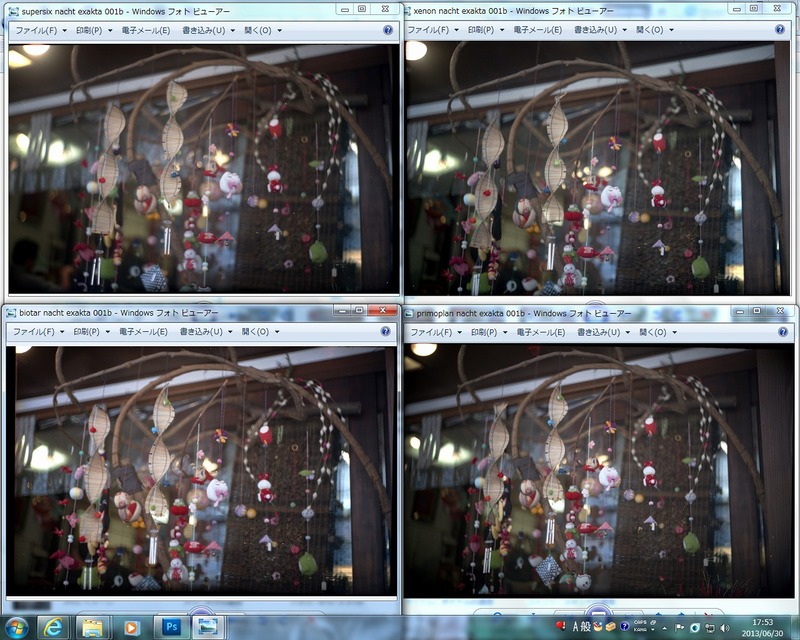 You can take 8 photos in one 127 film with 6cmx4.5cm size. 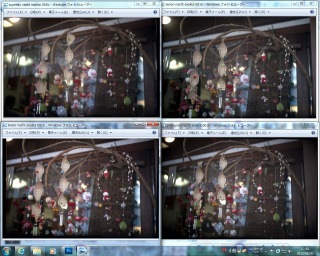 You need 4 exposures to compare 4 lenses, so using one film for 2 comparison. 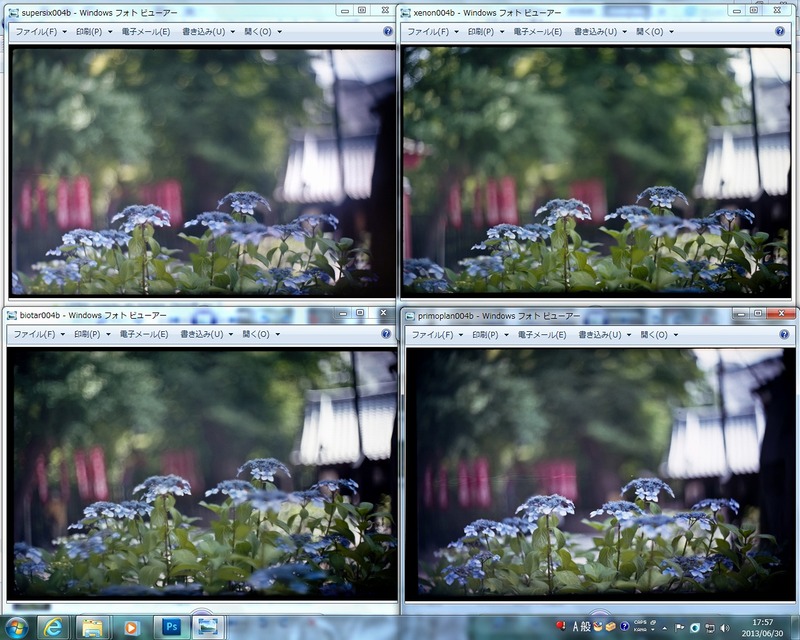 Furthermore it was so troublesome to change 4 lenses by screwing at the same position among crowed people. I gathered 4 examples into one to be able to compare easier. 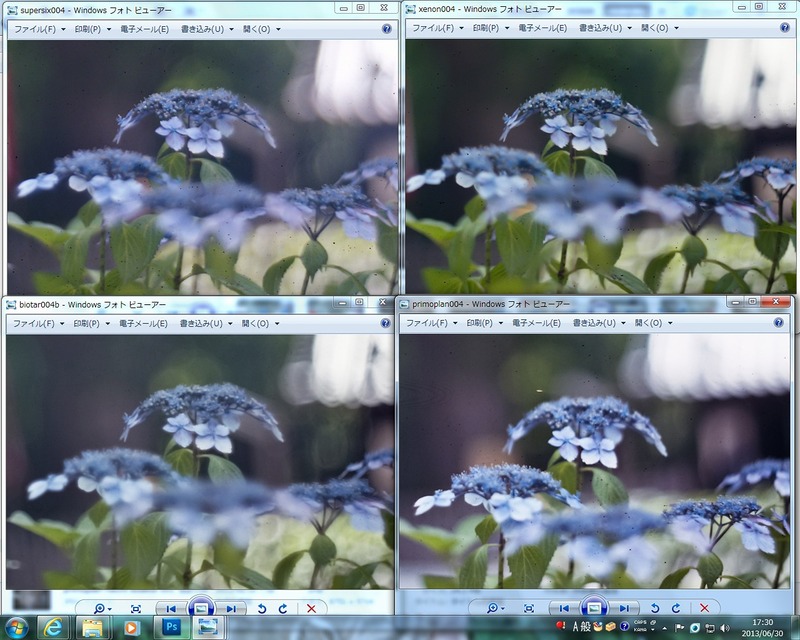 You can see the name of lens above each photo. From above left, Super-Six, Xenon, Primoplan, Biotar as clockwise. 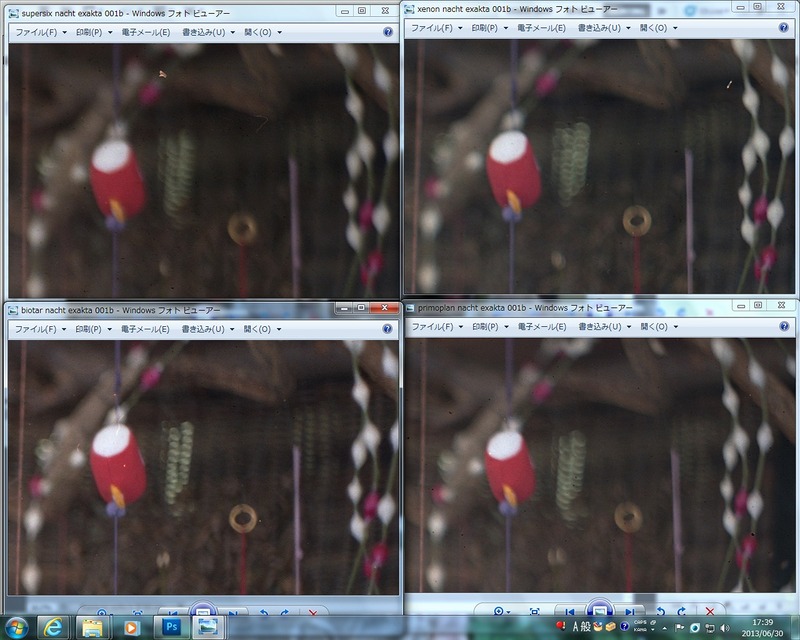 (1) Each lens shows marvelous three dimensional expressions. (2) None of them are strong enough againt light beam. I estimate haze because of their age. Xenon shows rather clear picture because it has more clear glass condition. (3) Although no examples, they show very clear pictures at f8 or more. 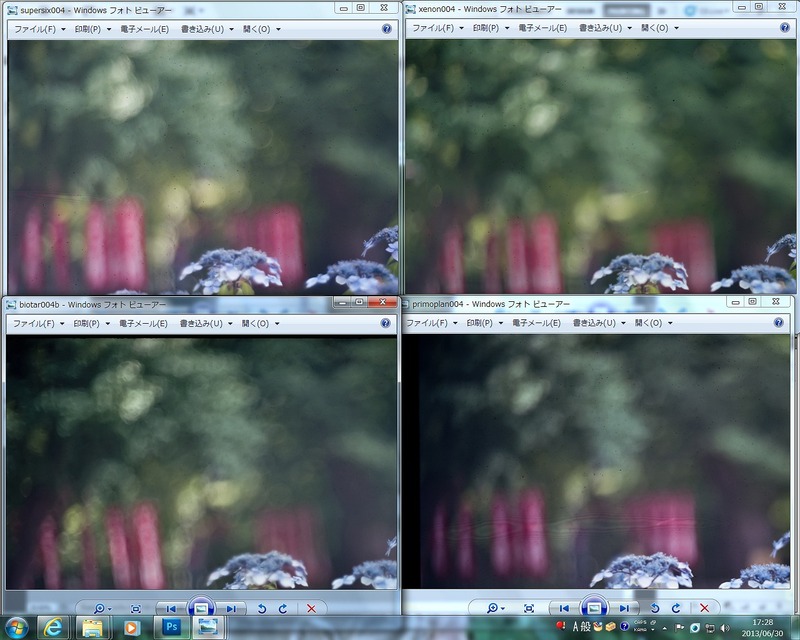 (4) At full aperture, the center focused image is shown sharp for each of them. 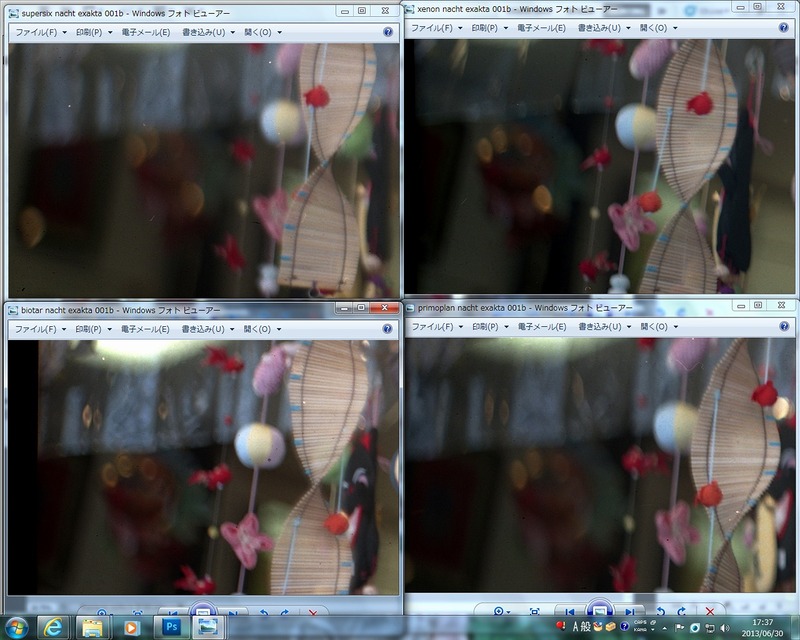 (a) Biotar shows most strong two lines bokeh. (b) Other two Double Gauss type, Super-Six and Xenon, shows also lines at the edge of each bokeh but not strong as Biotar. On the other hand, there might be more spherical aberration remained, I estimate the famous halo or flare at highlight part of Super-Six lens is related with this. (c) Super-Six shows moderate Coma Aberration which makes its characteristic. 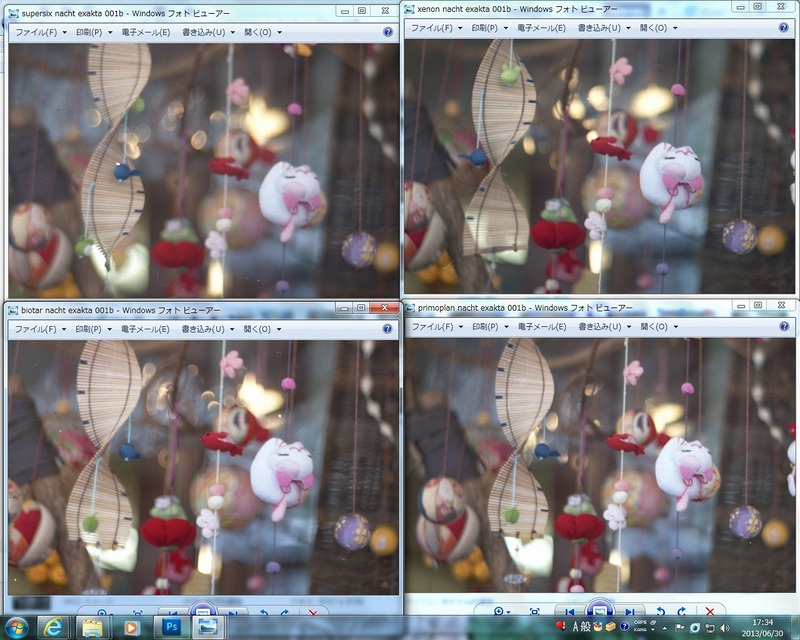 (d) Primoplan shows very tender bokeh alomost without lines at the edge of bokeh. However, it shows rather more astigmatism which turns bokeh circumference direction. 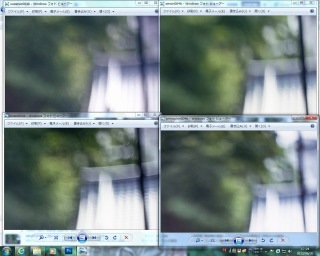 It can not be seen in photos in other three Double Gauss types. The difference of characteristic for two types, Double Gauss and modified Triplet, is clearly seen through this comparison.